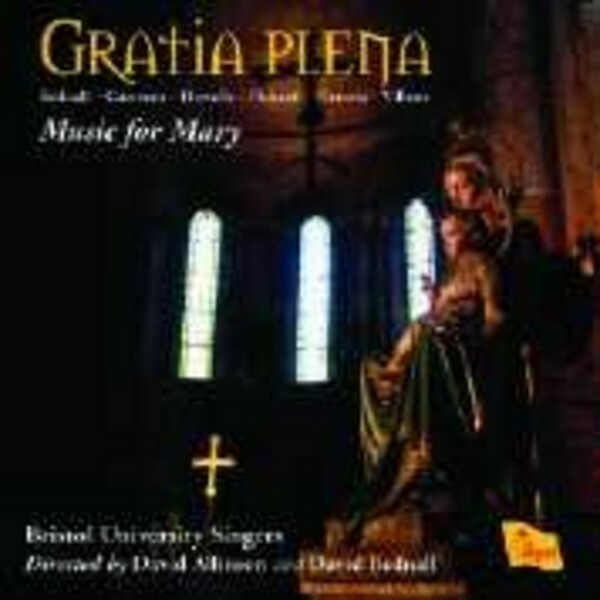 A glorious debut recording from the Bristol University Singers, dedicated to works in praise of the Virgin Mary. The programme contrasts Marian works from the sixteenth century with works from the twentieth and twenty-first centuries. Masterworks from the Renaissance by Victoria and Guerrero are interspersed with works by Howells, Villette, and new works by David Bednall and John Pickard. The Bristol University Singers is a chamber choir with 35 members, singing to the highest standards, and on this recording they are conducted in the early works by early music specialist David Allinson, and in the later works by David Bednall. David Bednall is rapidly emerging as one of Britain�s foremost young composers. He combines an extensive freelance career with the positions of Organist of the University of Bristol, Sub Organist at Bristol Cathedral, and the Directorship of the University Singers. He recently completed a PhD in Composition. He was Organ Scholar at The Queen�s College, Oxford, and then at Gloucester Cathedral, and subsequently Assistant Organist at Wells Cathedral. Regent has released three CDs dedicated to his music - all have received great critical acclaim.